Martin Rinkart (b. Eilenburg, Saxony, Germany, 1586; d. Eilenburg, 1649) was a pastor during the horrors of the Thirty Years' War, and that difficult ministry inspired him to both sacrificial service and to the writing of hymns of praise and confidence in God. As a youth he was a choirboy at the St. Thomas Church in Leipzig, Germany, and then studied at the university there. He became a schoolmaster and cantor, held several pastorates, and became the archdeacon in Eilenburg in 1617, a position he held until his death. Because of the war the walled city of Eilenburg was overflowing with refugees, causing widespread disease and famine. During the epidemic of 1637 Rinkart officiated at over four thousand funerals, including his wife's; at times he presided at fifty burials a day. But in spite of these incredible demands on his ministry, he wrote many theological works and sixty hymns, of which "Now Thank We All Our God" is best known. The text was published in the 1663 edition of his Jesu Heartz-Büchlein ; it was presumably published in the earlier 1636 edition, but no copy of that edition is extant. The translation by Catherine Winkworth (PHH 194) was published in her Lyra Germanica in 1858 and again in her Chorale Book for England in 1863. Most commonly at the conclusion of worship; useful for many occasions of thanksgiving: regular worship services, weddings, harvest thanksgiving. NUN DANKET, named for the incipit of Rinkart's text, has been associated with this text ever since they were published together by Johann Cruger (PHH 42) in his Praxis Pietatis Melica (1647). 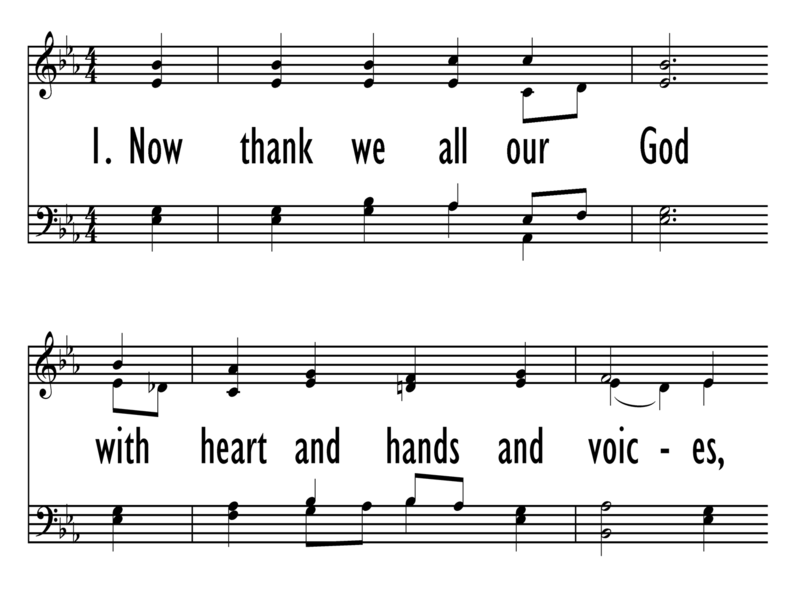 Like most modern hymnals, the Psalter Hymnal prints the isorhythmic (all equal rhythms) version. 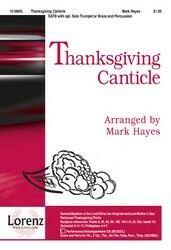 The tune was used by Johann S. Bach (PHH 7) in his cantatas 79 and 192 and by Felix Mendelssohn (PHH 279) in the Lobgesang movement of his Symphony No.2 (1840); the harmonization is based on the one in six voices by Mendelssohn in that work. There are also many organ compositions based on NUN DANKET. 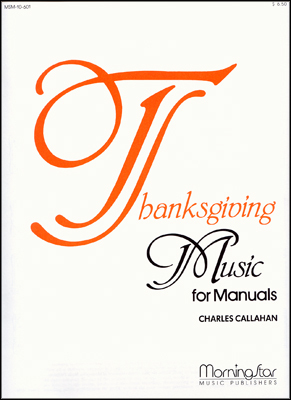 A bar form (AAB), NUN DANKET is a splendid tune for majestic occasions of thanks¬giving. Sing stanzas 1 and 2 in either unison or harmony, but sing the doxology in stanza 3 in unison, preferably with a descant. Observe a fermata at the ends of the first two systems. This tune needs a broad tempo.